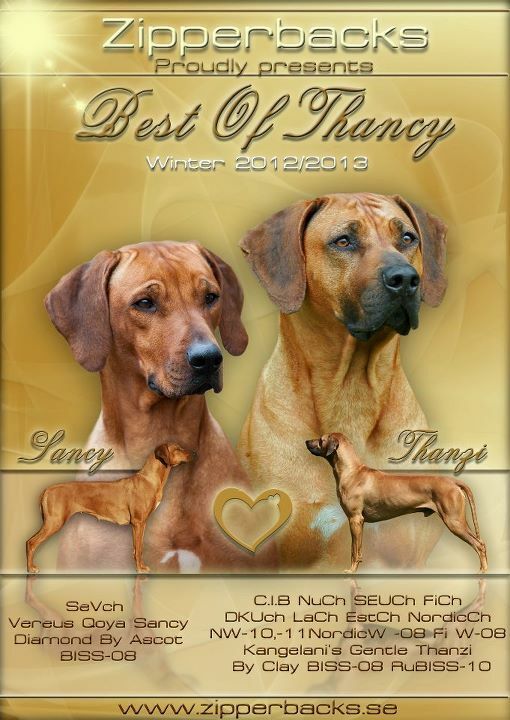 Thanzi's honeymoon trip to Sweden has proven to be successfull as SeVch Vereus Qoya Sancy Diamond by Ascot is pregnant! Puppies are due middle of october ready to leave for thier new homes middle of december. For intrested parties more information can be found on Kennel Zipperbacks website.